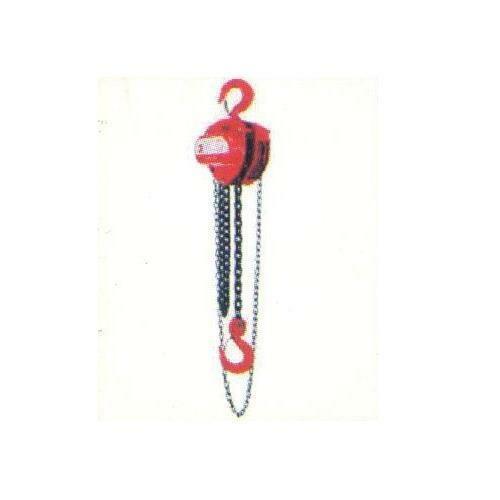 With the changing demands of our clients, we are offering a comprehensive array of Hand Operated Chain Hoist . Designed and developed by our experts using advanced technologies and qualitative raw material, these products find application in several industries. All our offered products have high strength and these are available at affordable price range. Incorporated in 1996, Gearlift Engineering Company is a well known manufacturer and supplier of Goods Lifts, Hydraulic Pallet Trucks, Traveling Trolleys, Wire Ropes, Polyester Webbing Sling, Winches, Pulley Blocks, Lifting Accessories, Gears and Spares, Industrial Cranes and Electric Wire Rope Hoist. All our lifting units are superior in quality and best for use in the industrial and constructional places based on heavy load working. Finest employment of the sturdy metallic inputs in the accessories is in accordance to the global norms and parameters. Safe to industrial workers all our accessories are optimum in performance and work on less power consumption. All lifting products are weather resistant and show constant working for longer years.